How to Connect Smartphone to Amazon Echo? Amazon Echo helps you make your Home Automation experience more unique in a way as it works in co-ordination with several other third-party devices. It can communicate with other devices over Wi-Fi [Read: How to connect Amazon Echo to Wi-Fi?] and help you control your home lightings besides many other things. However, the good thing is that the Echo also comes with Bluetooth communication protocol. By this, you can pair your mobile device to your Echo and play your music playlist right from your mobile device to the Echo. NOTE: You cannot send any audio information from Echo to your mobile device. Also, the Echo will not receive any text messages, phone calls or notifications that arrive on your mobile devices. Here are few simple and quick steps to connect smartphone to Amazon Echo. Step 1: Turn on the Bluetooth on your mobile device you want to pair with Amazon Echo. You need to ensure that your mobile device is in the range of Echo. Step 2: Just say “Alexa, pair” and Alexa will help our pair your mobile device to your Echo. To exit the pairing mode say “cancel”. Step 3: Just navigate to the Bluetooth Settings menu on your mobile device, and select Echo. Alexa would let you know once the pairing is successful. You can now stream audio from your mobile device to the Amazon Echo. Step 4: To disconnect your mobile device, just say “Disconnect”. 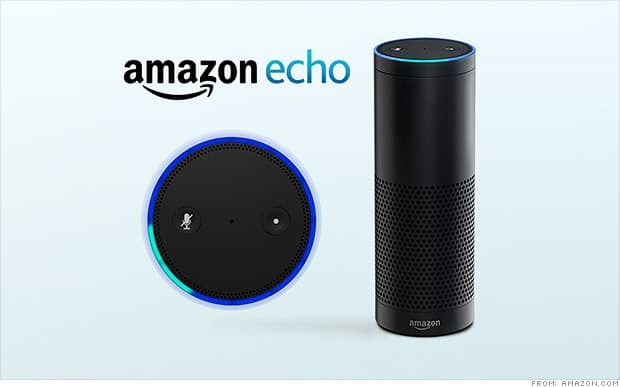 NOTE: Once you have paired your mobile device with the Echo, just turn on the Bluetooth on your device and say “Connect” to immediately connect your mobile device to Echo. In case your Echo is paired with multiple mobile devices, it will connect to the most recently paired device. Thus, you can now connect your mobile device with the Amazon Echo and get a seamless integration for playing the music of your choice directly from your mobile device’s playlist.